"A large open world driving game." 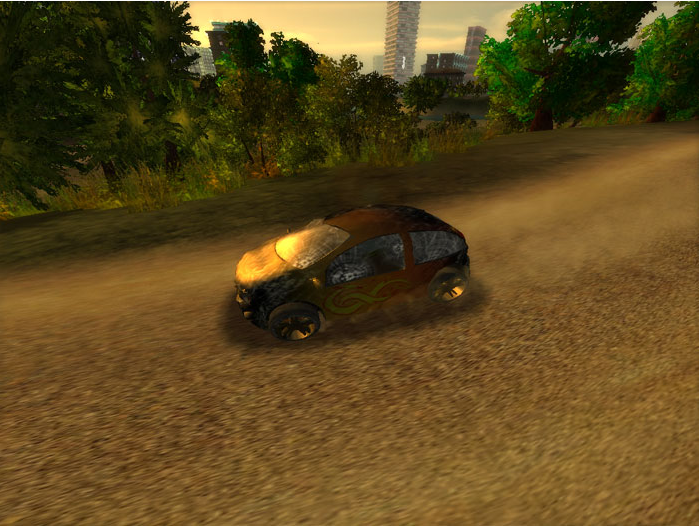 City Racing is a free to download driving game set in a sandbox like environment, you drive around the map looking for different races to enter. There are timed events and street races and you can earn money to be spent on repairs and upgrades to your car with this money. As the game opens your car is already half way destroyed and you must go and talk to a local mechanic about the entry requirements of the street races and where you can find them, after that make sure to get your car repaired because if the damage is too high you will not be able to enter any of the races. 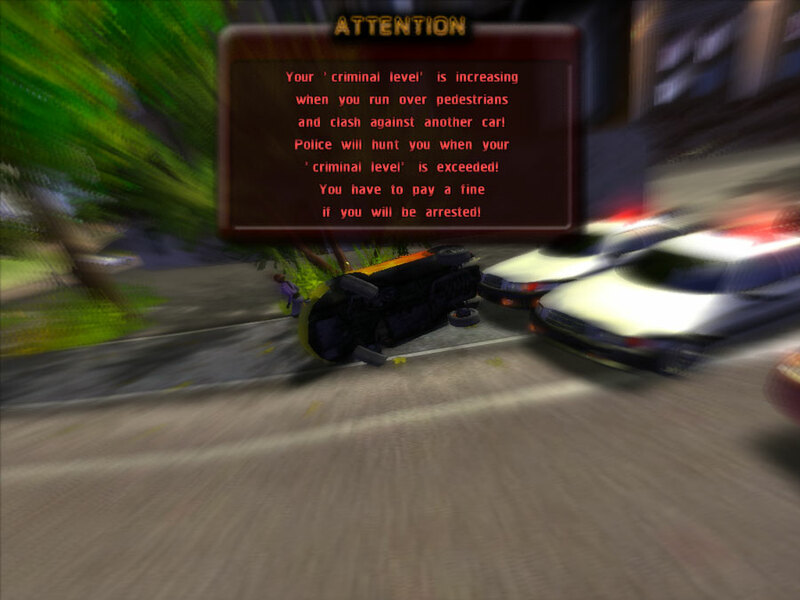 You must also be very careful of the police, the city setting seems to be full of police cars and hitting another car or even worse running over a pedestrian will soon get your wanted level up and the police in this city are determined! 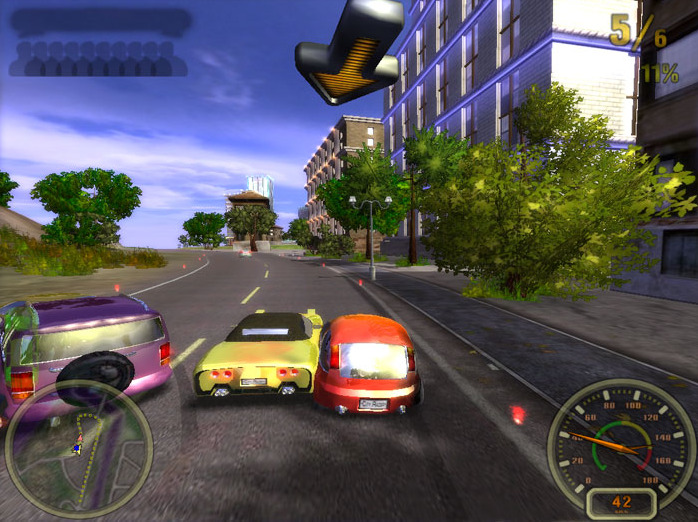 City Racing’s graphics look quite nice but the controls can be quite hard to get used to, you use the arrow keys to accelerate, brake and steer but they are very sensitive and not driving with due caution you may soon find yourself knocking over innocent pedestrians and then being hunted down by the police. 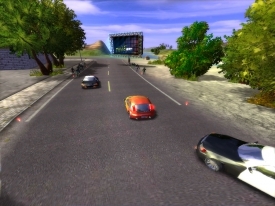 This game is actually very realistic in the respect of the difficulty of handling your vehicle and while it doesn’t play out at a particularly fast pace for a driving game it is enjoyable and as it’s free if you are in to driving games we would recommend giving City Driving game a chance.